Junior Gold Miner Seeker: Full Watchlist of the Venture Index - Poised for Golden Cross? Full Watchlist of the Venture Index - Poised for Golden Cross? Bullmarketrun have been calling the turn on the Venture this year. Some are waiting for volume and clearer signals, some of which may be near. In the meantime the market bifurcation and selective bull market noted by Rule, Roulston and Kaiser is clear with strong leaders and laggards. A full stock watchlist of the Canadian Venture Index $CDNX is included below. 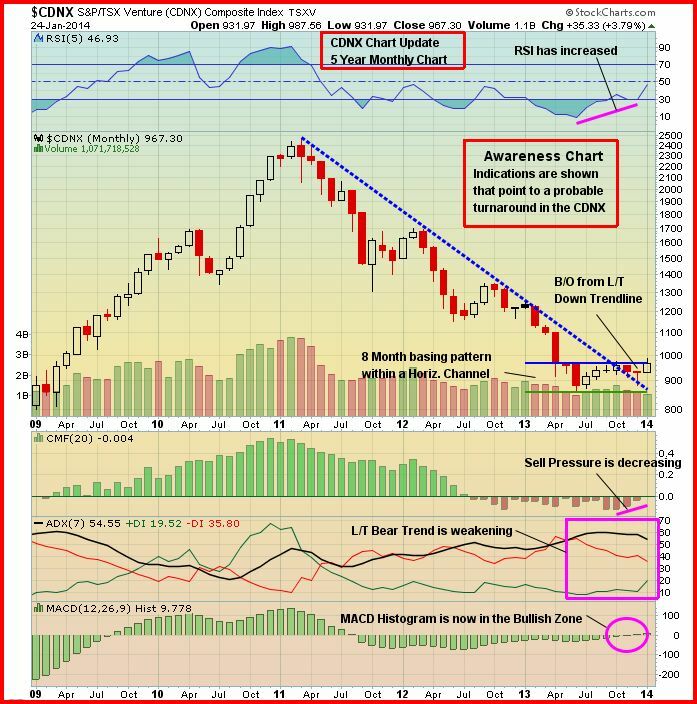 Some part of recent stock market profits may find their way to "generational lows" in the miners which Gene Arensberg provides some interesting charts to support. The watchlists show many stocks 100% + off their 52 weeks lows already, though many are still far from their 52 week highs. Perhaps the precious metals are anticipating renewed global easing, QE or otherwise, at which point both main markets and precious metals may begin to move up together, Larry Edelson's anticipation. These may be the two real asset routes away from bonds and rolling currency crises. Frank Holmes of US Global Investors also discussed the Canadian Venture this week and is pointing to a potential bullish golden cross of the 50d & 200d moving averages. 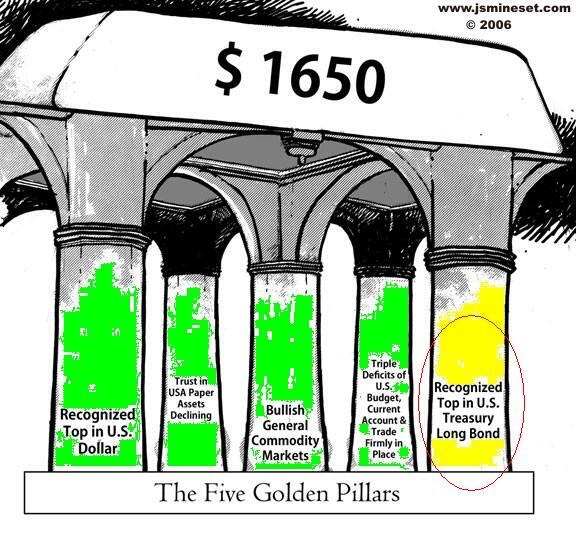 Paying attention to the golden crosses in 2009 and 2010 and the "death cross" in 2011 would have been wise. I have created watchlists of the full index as at weekend 26th Jan 2014 and arranged in MCap at that date grouping Miners / Oil&Gas and Others. I believe the composition summaries on the Index link above may include coal and uranium with Energy rather than materials. It is interesting that this index is often referred to as a proxy for the junior miners and the gold juniors. I have not yet separated out the gold explorers and juniors but the falls of the past 3 years have meant this index is driven as much by Oil & Gas as mining and exploration and indeed much of the mining valuation (market cap weighted) is in non-precious metals plays, uranium, graphite, phospate etc, or a few larger stocks with some unusual stories like Gold Reserve awaiting legal outcomes to recover any value. This suggests a number of things. 2) We must question just what is driving the apparent technical improvement in the index. Energy or metals, or will they move together? 3) The index itself is an odd one to think about; while there will be survivorship bias, as so many juniors fail, there will also be a loss of the best companies as they are promoted to the TSX. 4) If a new discovery cycle is to come GLDX is not the place this will happen. CDNX may not be either with a group of "old" stocks and stories for the most part, though I presume rebalancing would bring in new companies. Annoyingly as ever some stocks do not show up on google finance. I have manually added a few market caps in purple @ 26/1. The prices and market caps should update but as always please double check any information. Is their aETF that tracks this index.